Much like Slovenia or Bosnia and Herzegovina, Montenegro wasn’t a country we specifically sought out to visit. When we decided to make Dubrovnik our home base for the second half of our week in Europe, it seemed crazy not to venture over the border to visit. 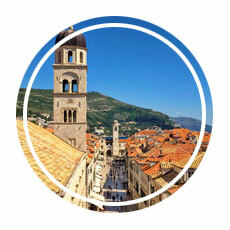 Montenegro is not quite an hour away from Dubrovnik, and with numerous agencies offering bus tours it’s an easy daytrip. 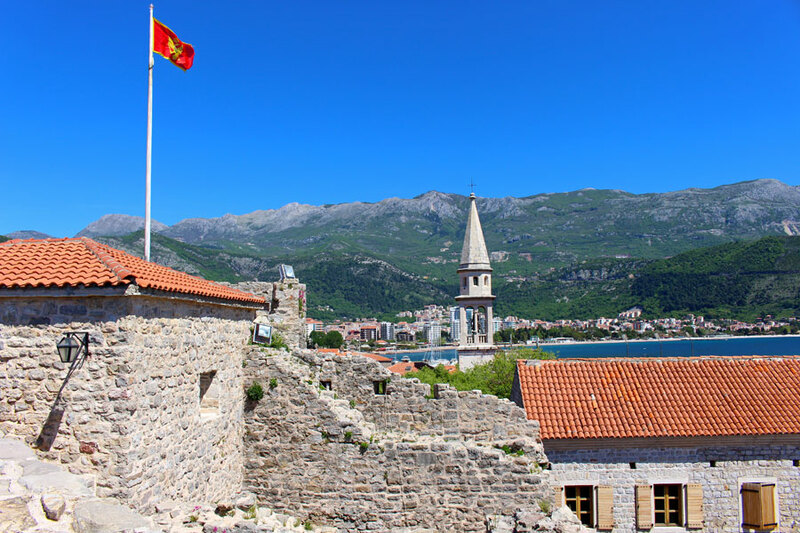 Really, though, I knew as soon as we confirmed our plans to visit that Montenegro would always hold a special place in my heart; it was the 50th country to which my travels have taken me, which was a huge milestone to reach. 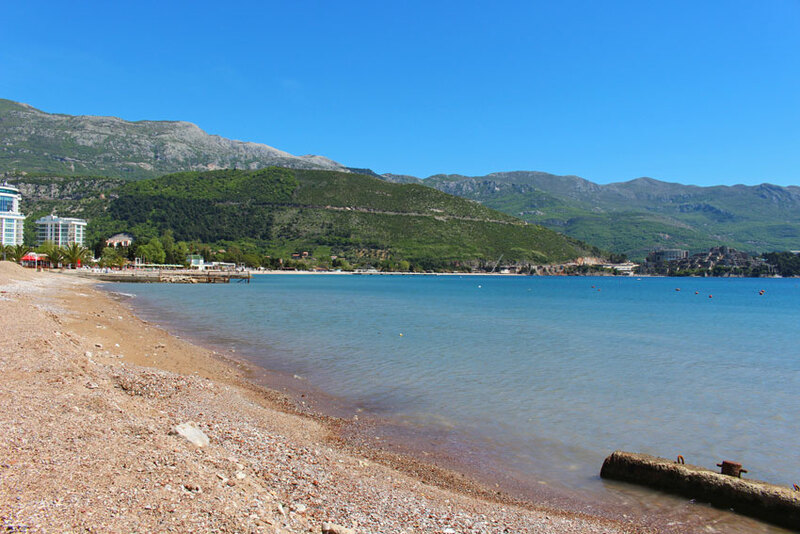 Our trip to Montenegro started after breakfast, when our minibus pulled up to the curb outside our hotel and we began to make our way south along the coastline to our first border crossing of the day. Border crossings are fairly simple, especially for tour groups; an agent boards the bus and inspects passports, and typically passports from outside of the European Union are collected for further inspection back inside the guard station. Being from the USA, we weren’t surprised when the agent wordlessly took our passports from us; less than 10 minutes later they were back in our hands (with another stamp!) as we made our way down the road to the Montenegro border. Here, the process was repeated, and within about 10 minutes we were gazing out the window at a brand new country. 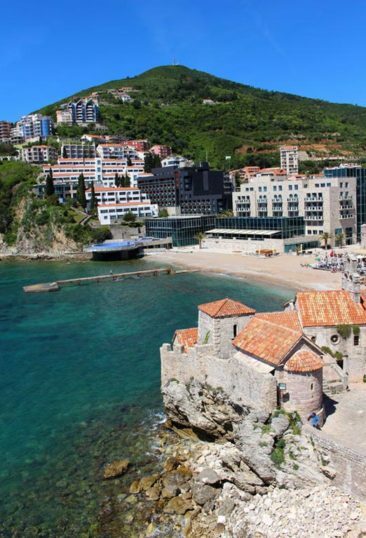 Montenegro is, indeed, a brand new country. 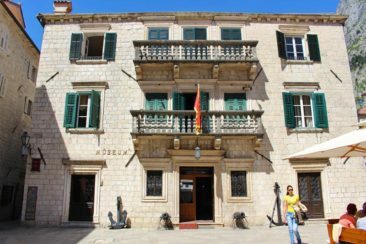 It has been just 10 years since the Montenegrin parliament declared independence from Serbia by referendum in 2006. To look around, though, you would never guess just how youthful it is; the country is steeped in thousands of years of history that reflect the impact wars and rulers have had. 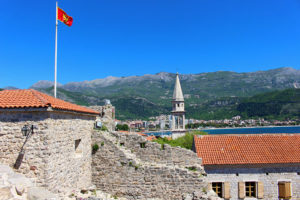 Montenegro hasn’t always been its own country, but it has always had a role in shaping the region where it’s situated. Montenegro benefited from a heightened profile as the setting for the 2006 James Bond film Casino Royale. Ironically, not a single scene was shot in Montenegro- it only played host to the events by name. 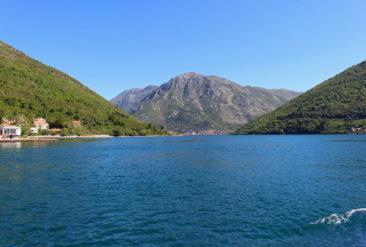 That hasn’t stopped tour companies and visitors from making the connection between the beautiful scenery of Casino Royale and its assumed location of Montenegro. Our first stop wasn’t so much a stop as it was a different kind of movement: we took a ferry ride across a small section of the Bay of Kotor. 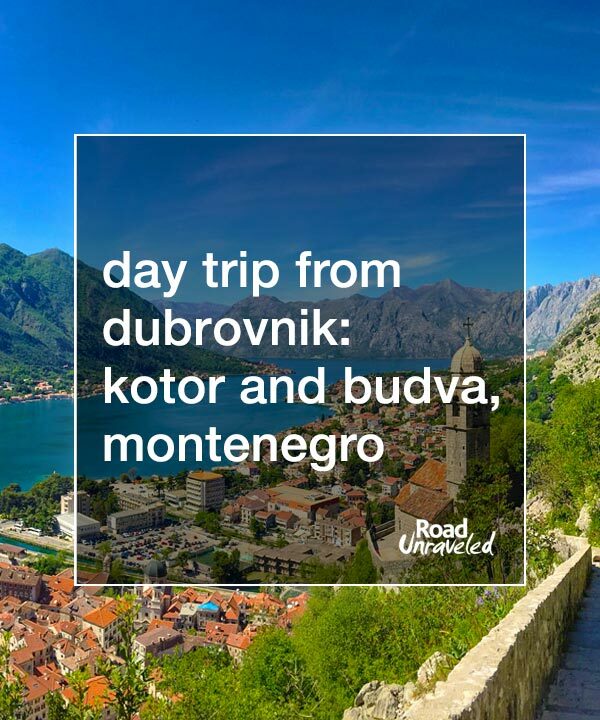 While the ride itself didn’t last long, it provided us with our first real panoramic views of the mountains of Montenegro and a chance to stretch our legs before the last stretch of the bus ride to Budva. We had about two hours to explore the 2,500-year-old city of Budva, so as soon as our tour guide released us we immediately headed for the walled city. 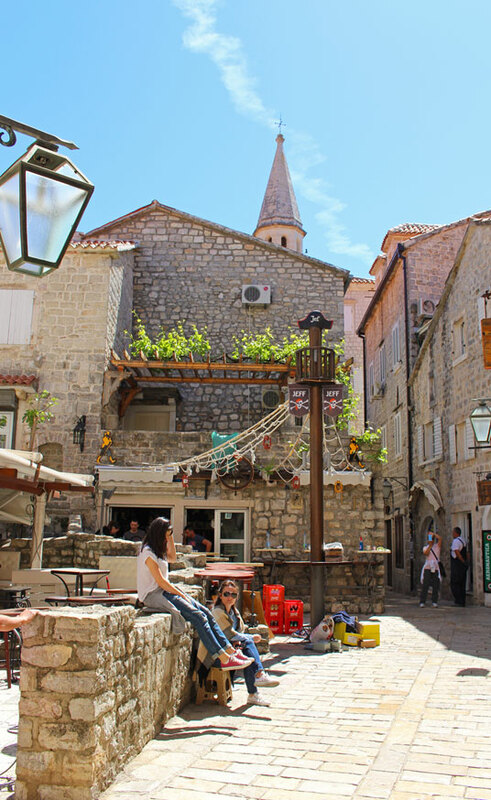 Old Town Budva is accessed only by foot- much like Dubrovnik, the streets can trend a bit narrow. The alleys wind as well, and navigating them isn’t the easiest thing to do, especially when you’re up against the clock like we were. 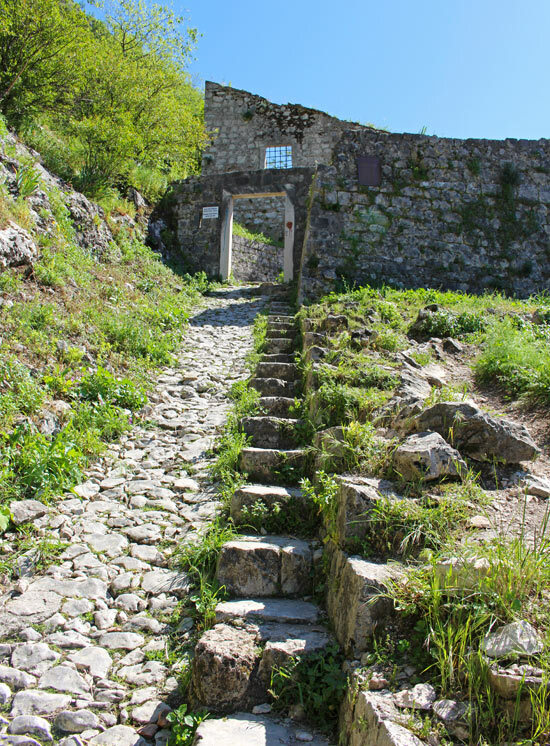 As our luck would have it, the path we chose led directly to the citadel, a site recommended by our tour guide. For just five Euro for two tickets, we spent close to thirty minutes inside as we explored the grounds. 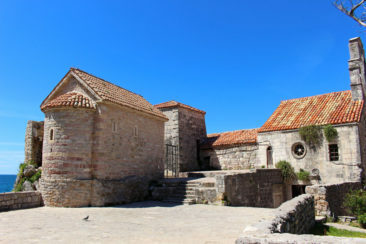 The citadel sits at the southernmost tip of the city, which makes it the perfect place to stop for pictures of the Adriatic Sea. Because many of the people on our tour opted for lunch, we were almost completely alone to climb the towers and enjoy the view; we were still alone as we left the citadel and wandered through the winding streets in search of the main gate (and a souvenir from one of the great shops). We had just enough time for lunch, and against my better judgment we opted for a sit-down restaurant with a beautiful sea view that I desperately hoped would have great food and quick service so we could make the 10-minute walk back to our meeting place without having to jog it. We hit the jackpot with 1 Euro glasses of wine and our main course, cevapcici. 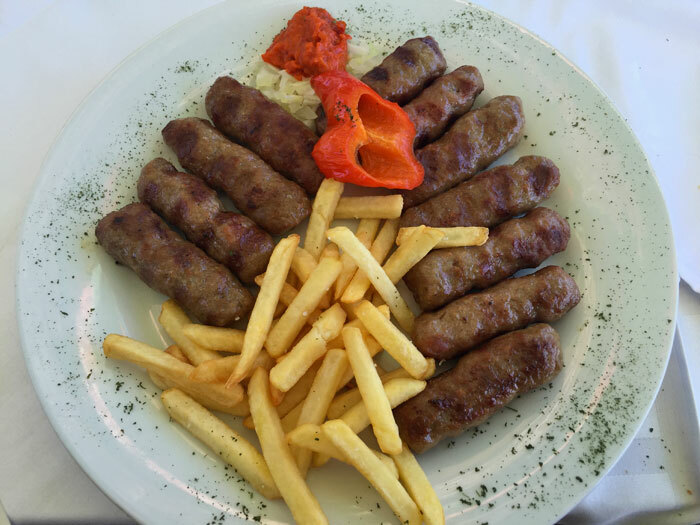 Cevapcici- pronounced chi-VAHP-chi-chee, is, simply, a sausage that doesn’t have a casing to cover it, which makes it more or less a hamburger. Made from beef and sometimes a combination of pork and beef, our cevapcici was served with a spicy dipping sauce made from roasted red peppers called ajvar, and French fries. The huge portions were more than we could finish, and we were happily stuffed when we left the restaurant with plenty of time to make it back to our meeting point. 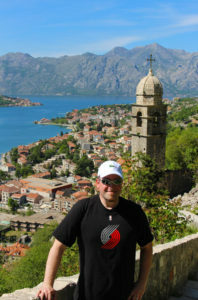 We spent the second half of our day in Kotor. 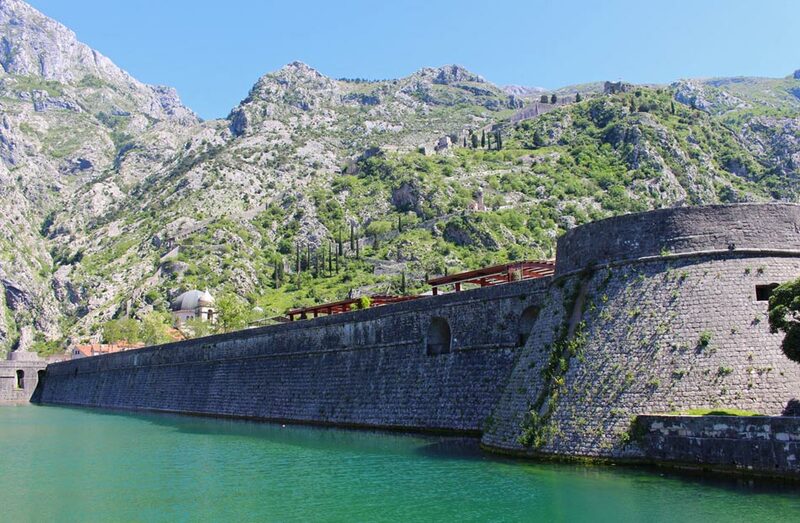 Kotor has an incredible history that dates back at least to 170 BC, when the ancient Romans settled it. Centuries later it was fortified, and today it remains one of the best-preserved medieval towns in Europe (as well as a UNESCO site). We started with a thirty minute walking tour of the old town, which took us past some of the more historic buildings and churches and provided a great description of some of the families who have lived there over the years. Square of the Arms, the central square, is home to a beautiful stone clock tower, and the Cathedral of Saint Tryphon was very impressive. We also learned about the cats of the Adriatic. Up until Kotor, we had noticed cats all through Croatia and Montenegro. They were lounging on the patio at our hotel while we ate breakfast, and they passed by us as we walked through the various old towns we traversed. Kotor has their very own cat museum, and our tour guide pointed it out as she explained that cats are revered in that part of the world. Years ago, when rats freely roamed the streets, carrying disease and striking fear in the locals, cats were brought in to rid the towns of the rodent population. The cats did a great job… but they also created more cats. As it turned out, the people decided a cat problem was much better than a rat problem, and so the cats remain free to wander the streets. They are cared for, appreciated, and respected by the locals, so we also nodded gratefully as we saw them from that point forward. We didn’t see a single rodent while we were there, so the cats are very dedicated little town employees. 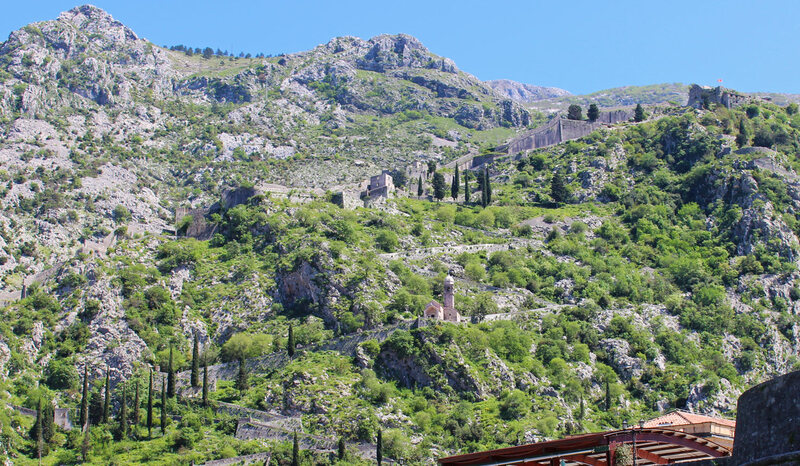 We had about two hours of free time in Kotor, so we thought it would be fun to climb the city walls– officially known as the Fortifications of Kotor. 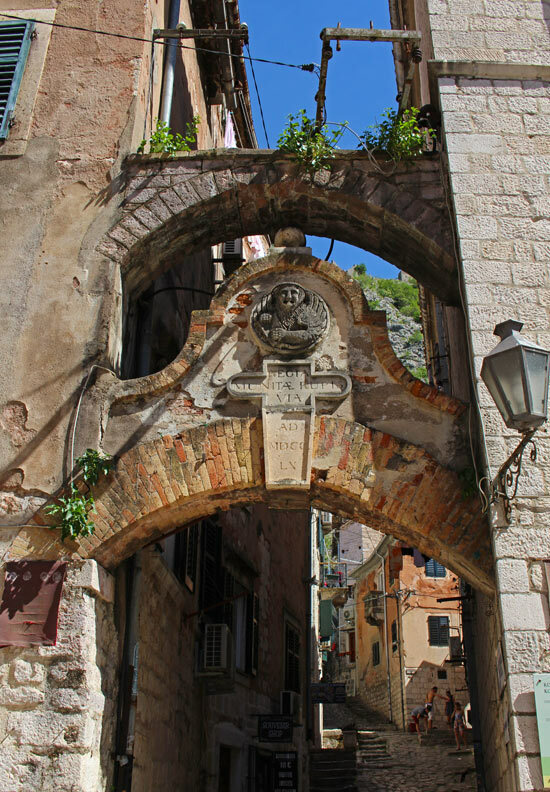 Dubrovnik’s city walls had been a beautiful way to experience and see the city, and my expectations for Kotor were the same. 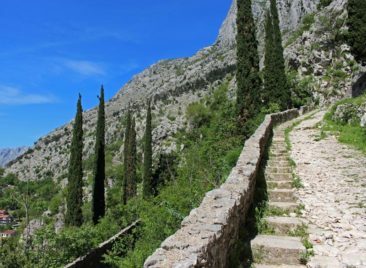 Kotor’s walls are a UNESCO World Heritage Site, but they have not been maintained in the same way as Dubrovnik’s walls; they are steeper and many areas do not have railings to hold as you hike your way up the hills they surround. The path up the walls of Kotor is made up of loose limestone rocks which (combined with the steeper angle) can also become very slippery in the hot sun. It took climbing just one short section before I turned to Adam and told him to go on without me; I had (stupidly) decided to wear sandals instead of sneakers that day, so without good traction I was stuck going much more slowly in order to stay safe. It took a long time to make it to the Church of Our Lady of Health about a third of the way up the hill, but as I stopped to catch my breath I was rewarded with some incredible views that made it all worthwhile. 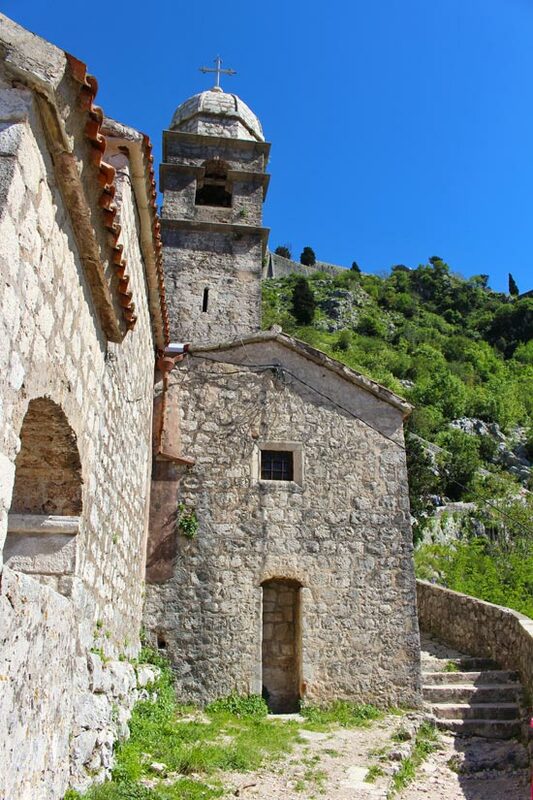 Meanwhile, Adam had reached the church and kept going- the views of the Bay of Kotor just kept getting better the higher he went! Unfortunately, we were starting to run out of time and had to think about getting back to the bus, so neither of us made it to the top. Adam turned around to head back to the city shortly before I did, which meant we met in front of the church- but not before Adam lost his footing and cut his finger on the rocky cliffs as he braced himself for the fall. Apparently Adidas doesn’t offer the best traction for walking down slippery limestone trails. A little antibacterial lotion (Purell has many uses!) and a band aid saved a day, but he was just the slightest bit proud of his injury and the fact he could now claim he “shed blood on the fortifications of Kotor,” which sounds as impressive as any other travel injury I have heard. 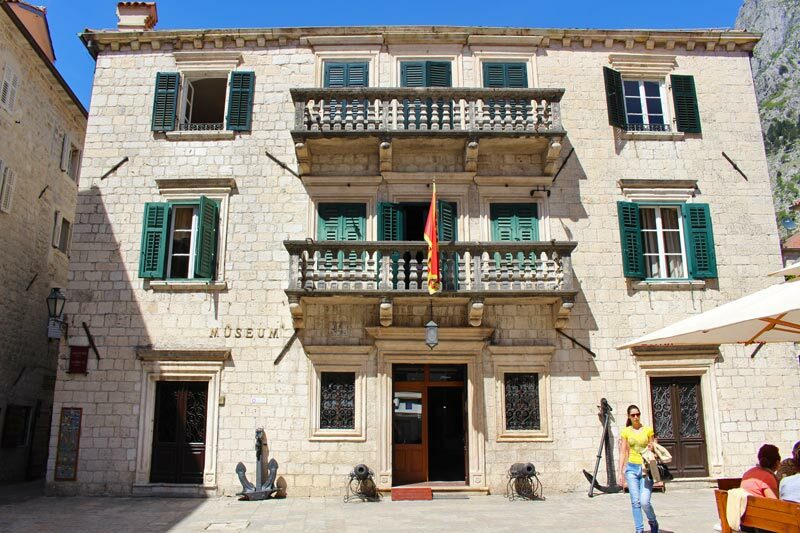 Back in Old Town Kotor, we did some window-shopping and had a horrible encounter with the woman who runs the toilets in town (she refused to believe Adam put money in the collection box before using the restroom, which led to a harsh exchange and us having to pay a second time. I believe travelers should always be kind and polite to locals, but I did not appreciate that woman calling us a liar!). 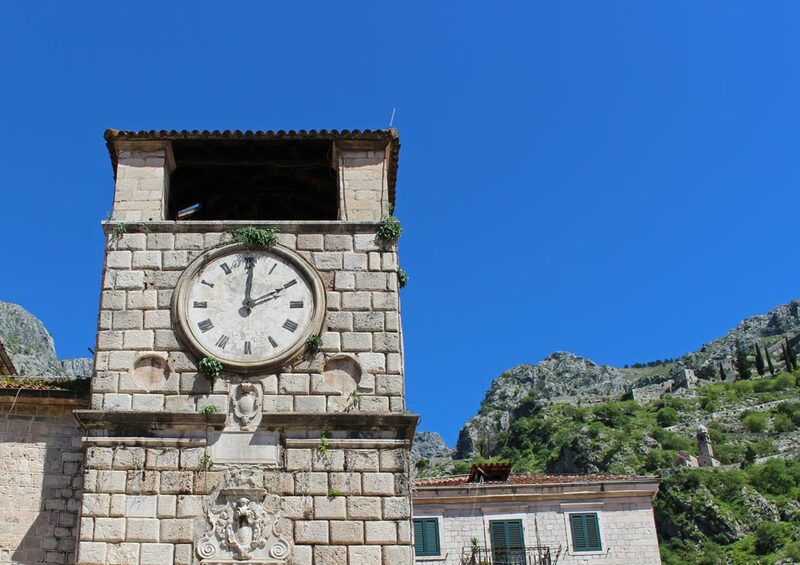 Our final stop was one last chance for photos in Perast, a town on the Bay of Kotor. Like everywhere else, it was absolutely breathtaking; clear waters, beautiful buildings, and bright blue skies made it a great stop. 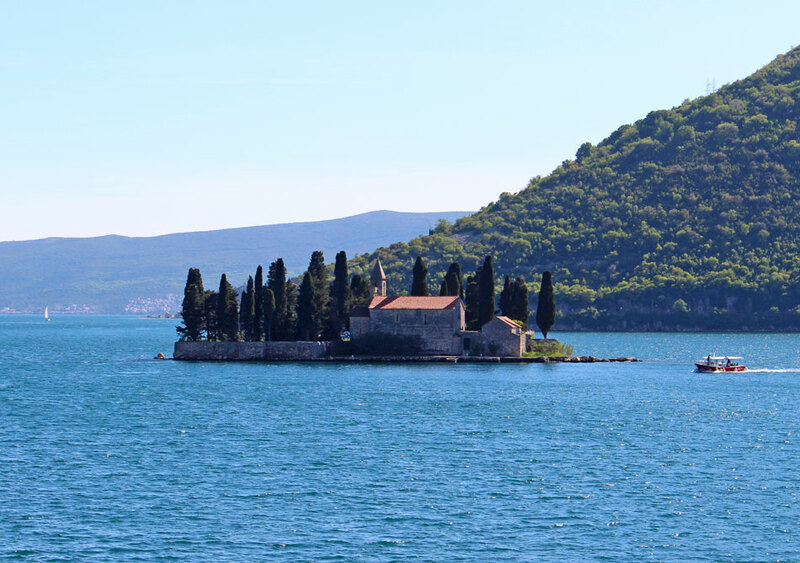 The most interesting sight was Our Lady of the Rocks, a man made island that was developed and maintained by sailors who found an icon of the Madonna and made an oath to place a rock there every time they returned from a successful voyage. Even today it’s not uncommon to throw rocks out to the island; in fact, a local celebration each July finds locals boating out to the island to toss more rocks onto it. 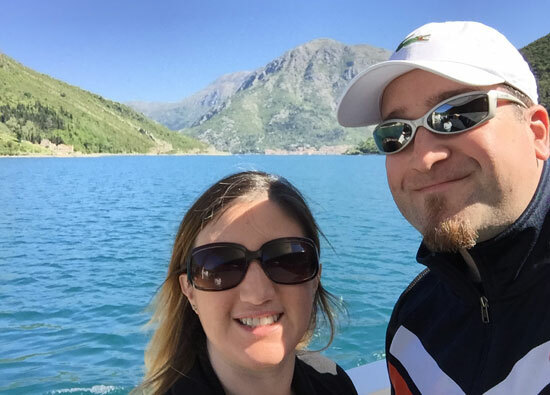 The day we spent in Montenegro left us with lasting memories, but it also left Adam with a permanent scar on his finger after his fall. 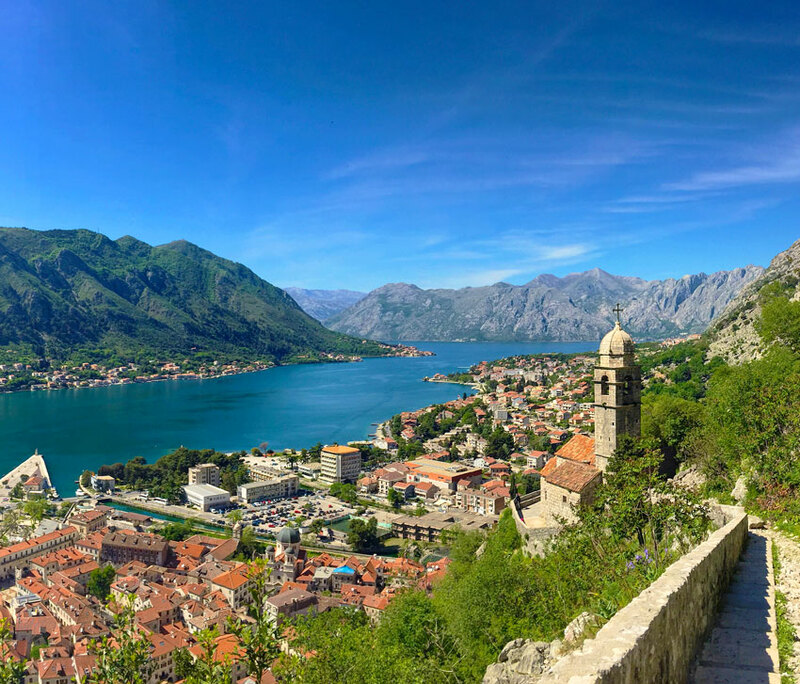 We learned two important lessons from our time in Kotor: we always need to have a first aid kit, and travel insurance is a non-negotiable item for future trips. The first aid kit would have helped ensure we could clean Adam’s wound and protect his finger from further injury; if the injury had been worse, though, we might have needed to visit a local hospital. We had an insurance policy from World Nomads, and although we didn’t make a claim we did have the peace of mind that we had access to our policy if we needed to use it. It’s a great idea to research and select an insurance policy when you are in the planning stages of your trip. Are you ready to plan your trip to Montenegro? 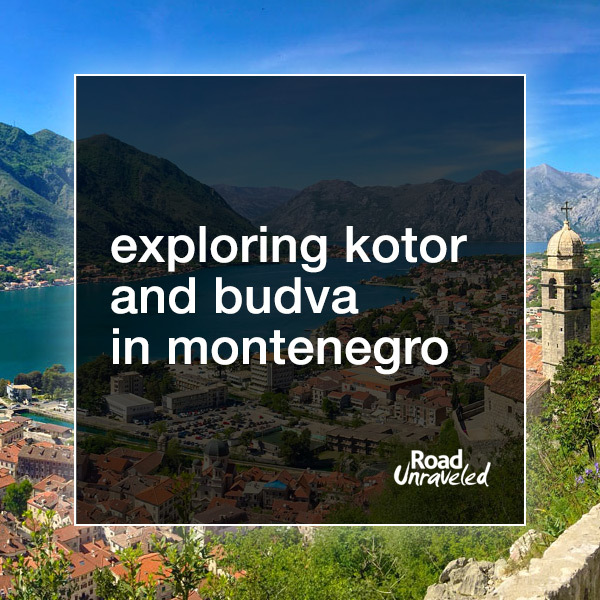 Kotor is about 15 minutes from Tivat International Airport and about 30 minutes from Budva, so it’s a good place to start your trip. 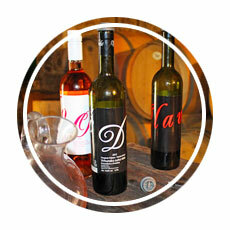 Here are some deals to consider in Kotor. Visit Budva and Kotor in Montenegro! 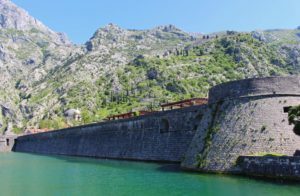 Montenegro made for a perfect daytrip, and I’m glad we didn’t pass up the opportunity to visit. Despite how new a country it is, Montenegro has such a rich history that it’s like stepping back in time- almost a vacation from our vacation. Having been just recently admitted to the European Union, changes will inevitably come to the country as the EU invests in its economy, but the old world charm is a characteristic it will always enjoy- and that’s how we’ll remember the day we spent there. 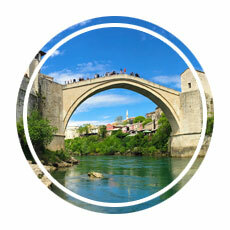 Thinking about a trip to Montenegro? Here are some fun day trips to consider while you’re there!